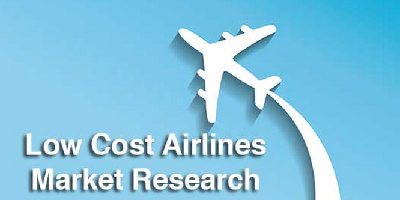 LOW-COST Airline Market Analysis conducted by AirlinePROFILER in which JACDEC was taking part. 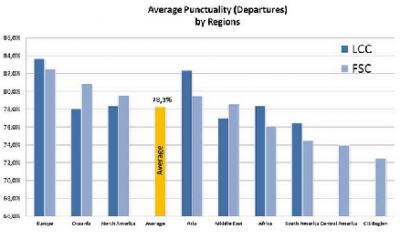 At the beginning of the 1980′s , the first Low Cost Airlines (LCC) were initially ridiculed as a peripheral “exotic” business case phenomenon, especially by global network or national flag carrier. 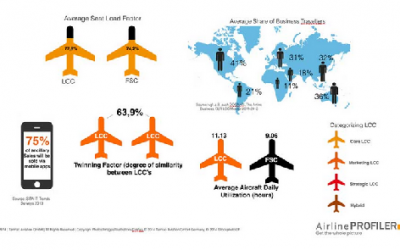 No one from the established airlines sincerely believed that it can be a sustainable and successful business model, or even constitute a threat or an serious alternative to their existing business model. 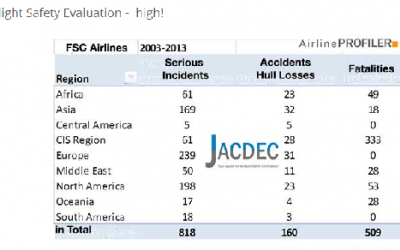 The year 2015 has seen 521 1) fatalities in commercial aviation. This number has significantly declined compared to the year before (2014 = 970).